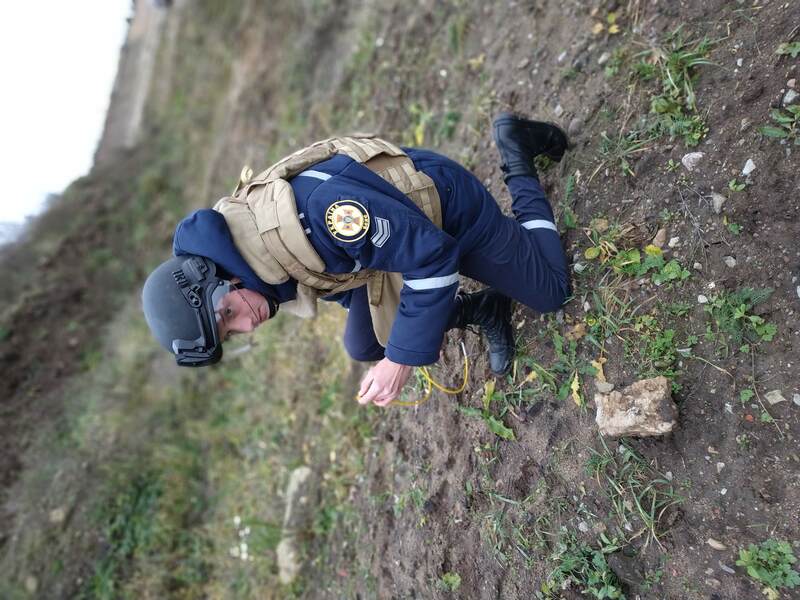 In accordance with the two-sided agreement on the cooperation between the Lviv State University of Life Safety and the Estonian Academy of Security (Tallinn, the Republic of Estonia), within the framework of the international project "Support to the Ukrainian Emergency Situations Service in establishments to the training system in the field of humanitarian demining", a training workshop of specialists in humanitarian demining took place on November 12-16, 2018, on the grounds of the Mine Clearance Center of the Rescue Department of Estonia. 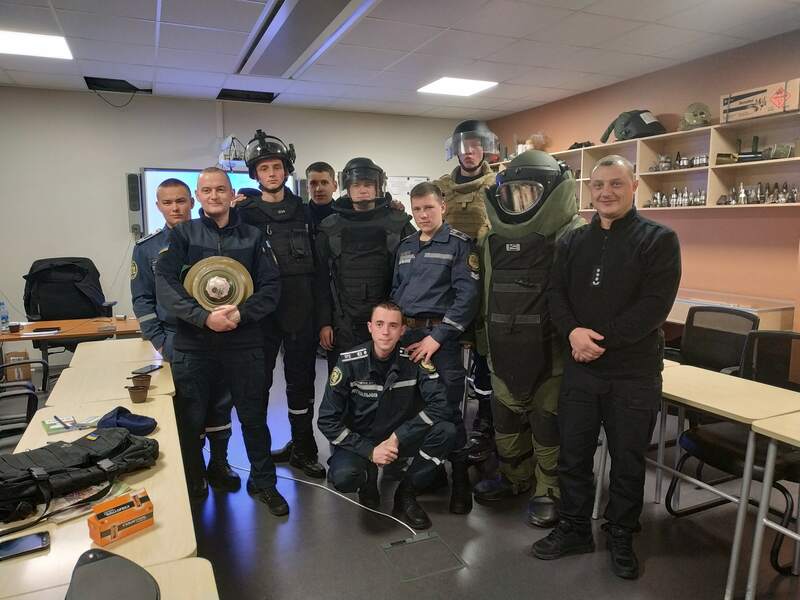 Eight second-year cadets of our University, who are undergoing training in the sphere of "Civil Security" (specialization "Engineering support of demining, pyrotechnic and explosive works"), participated in the event, as well as teachers of the Engineering, Demining and Pyrotechnic Department. 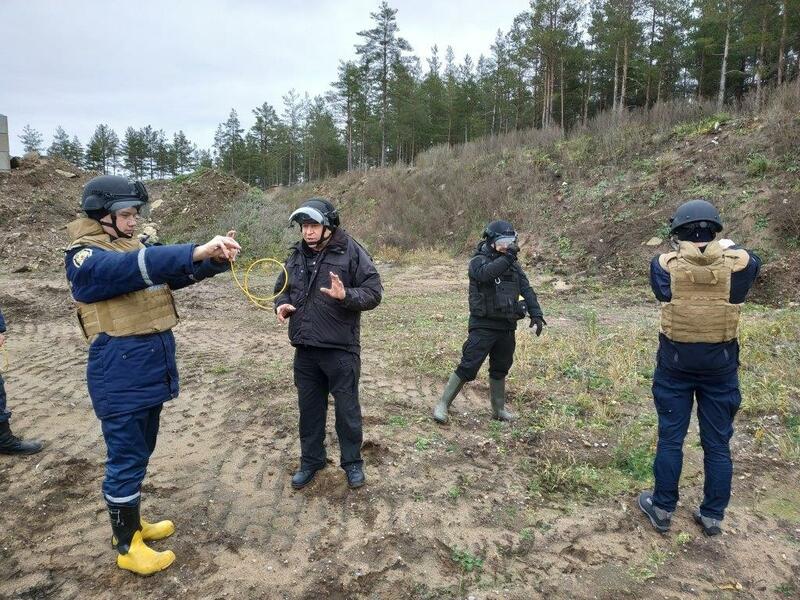 The subject of this training was multifaceted, namely: the acquaintance by the members of the Ukrainian delegation with the system of rescue service in Estonia and its main principles, with the requirements of international standards on humanitarian mine clearance of IMAS; theoretical foundations of the explosion and ammunition peculiarities of various types; modern means of personal protection against dangers associated with the ammunition explosion; studying and manufacturing various types of charges for ammunition destruction; studying various methods of subversion; exploration and operation of search, detection, and transportation of explosive objects (ammunition and improvised explosive devices). 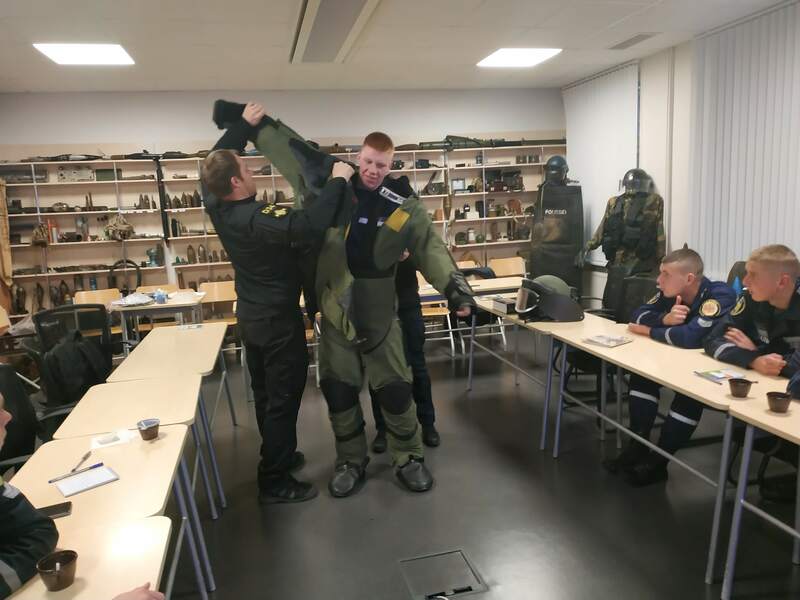 The final training session was a workshop on blasting, where cadets were able to put their theoretical knowledge into practice. 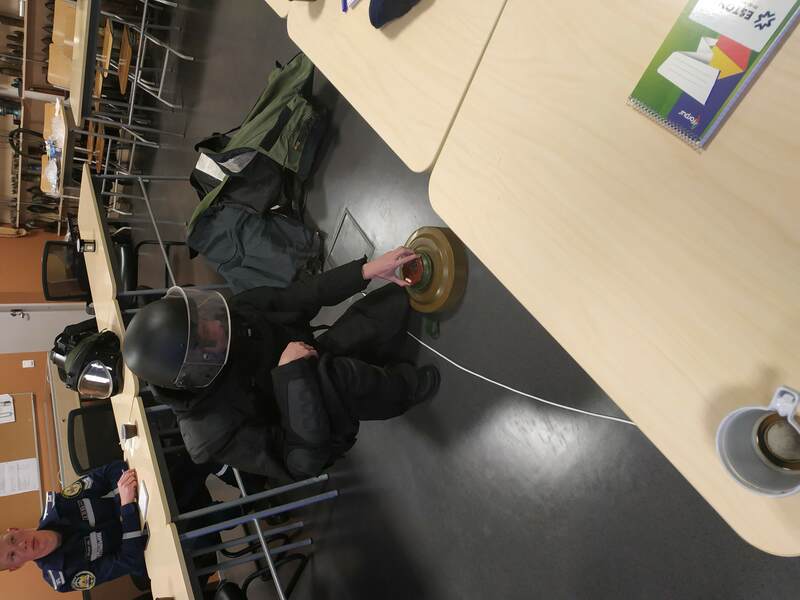 All classes were conducted by the instructors of the Estonian Center for Mine Clearance. 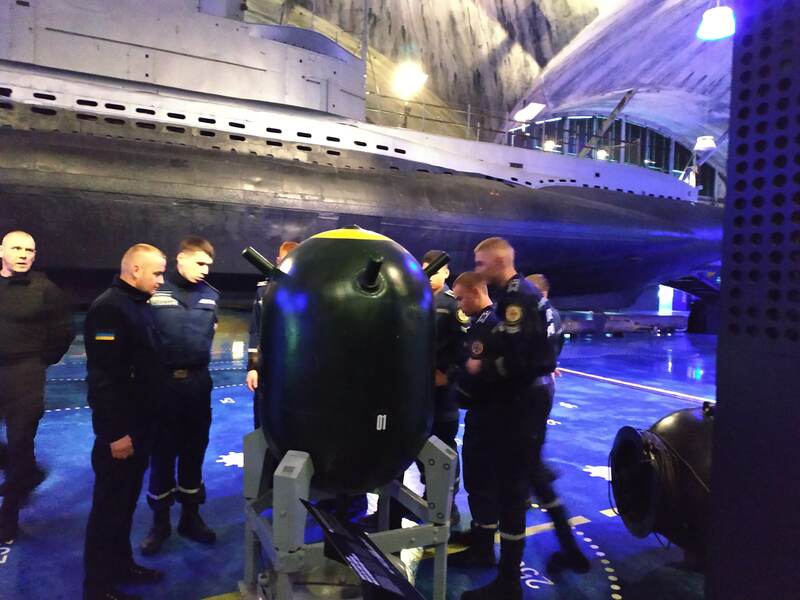 In addition, the Head of the Engineering, Mining and Pyrotechnic Department, Colonel of the Civil Protection Service, V.V. 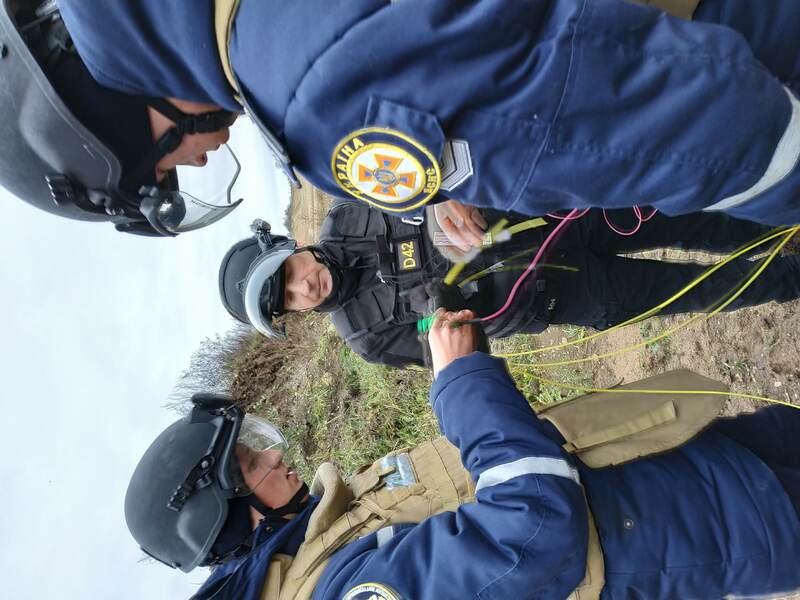 Kovalchuk, and a lecturer of the same department, Senior Lieutenant of the Civil Protection Service, V.V. 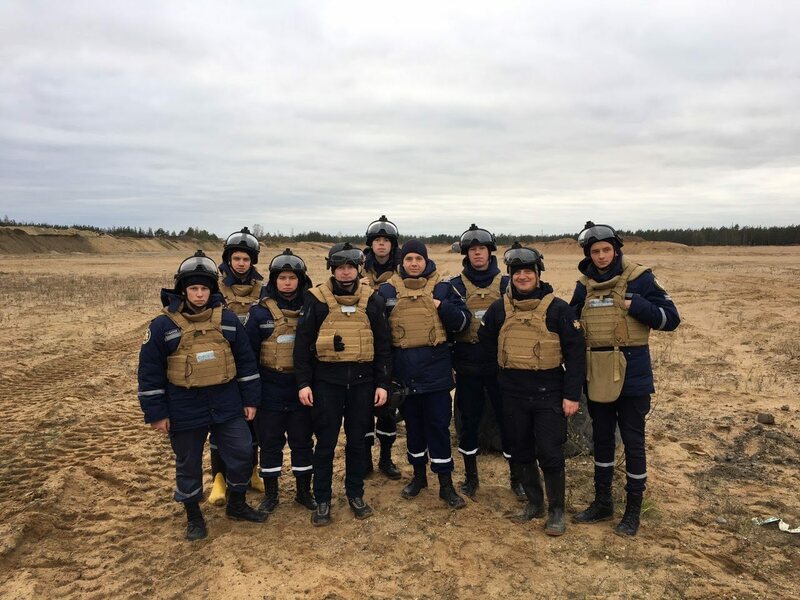 Nikitchyn, delivered lectures to trainers of the Estonian Center for Mine Clearance, and representatives of the Rescue Department and the Ministry of Internal Affairs of Estonia. 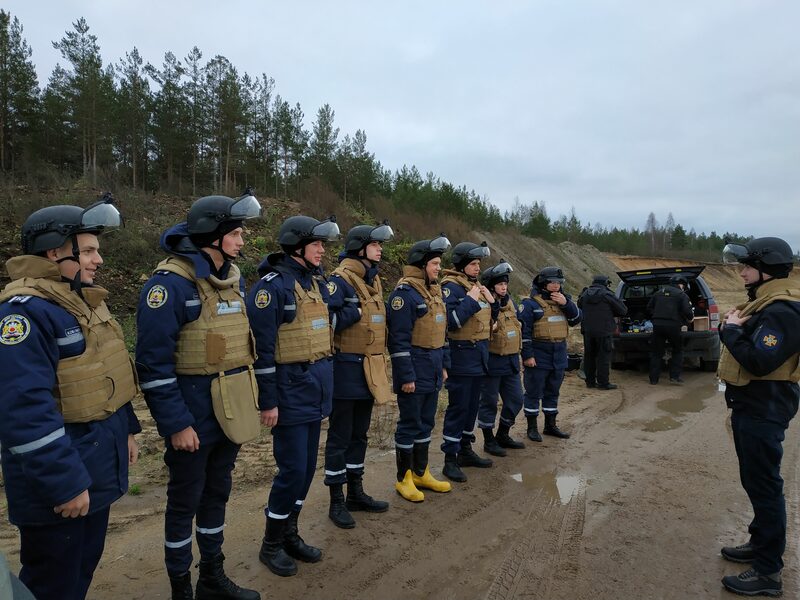 This stage of our cooperation is not the last one as it presupposes future trainings and exchange of experience both for cadets and officers, who train specialists for demining units.